Counter-terrorism police are probing a suspected Sheffield link to packages of white powder being sent to Islamic buildings in London. Metropolitan Police were called to mosques and Islamic centres in Tottenham, Leyton and Finsbury Park on Thursday after concerns about the mystery packets. Witnesses said one of the packages had been sent from Sheffield. The incidents were among a handful of similar deliveries across the capital which sparked security alerts and led to parts of the parliamentary estate to be closed when South Yorkshire peer Lord Ahmed, a Muslim, was among the recipients. The message, received by Lord Ahmed from Rotherham, contained racist abuse as well as suspicious white powder. Lord Ahmed said that he was concerned about the incident, particularly following the killing of Labour MP Jo Cox in June. A Scotland Yard spokesman confirmed that police were called to Noor Ul Islam in Leyton High Road at around 12.45pm. Two hours later, they were subsequently dispatched to Muslim Welfare House in Seven Sisters Road in Finsbury Park, and were then sent to the Masjid Ayesha Islamic community centre in Clyde Road in Tottenham at around 11.20pm. The spokesman said: “There were exactly the same circumstances at all three mosques. Officers were stood down when it was discovered the powder was not noxious. 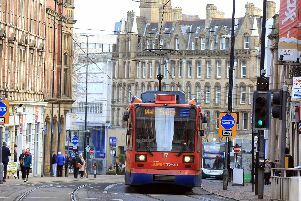 Toufik Kacimi, chief executive of Muslim Welfare House, said the building had to be evacuated when the package - which bore a Sheffield postmark - was discovered. He said: “It was quite a few envelopes inside each other, and there was some white powder inside. “My colleague tried to open it and a little bit of white powder came out - we thought it could be anthrax. “So we left it on the side and called the police, who came and evacuated us for about two-and-a-half hours. There were 150-200 people here, so we had to go outside. We had to tell people coming here for prayer to go elsewhere. A worshipper in Tottenham said the package was annotated with a crossed-out drawing of a mosque, an offensive term, and the word “filth”. Areeb Ul wrote: “A committee member from the mosque called the police after his dad felt itchy from the white powder. The police then called a bomb squad to examine the crime scene. “Someone somewhere is trying to send the Muslim community in the UK a message. “And, whether we like it or not, Islamophobia is real. We cannot afford to be afraid of speaking out when someone clearly wants us to do the opposite. He said the incident was the first of its kind at Muslim Welfare House. Mr Kacimi said: “We have never had any trouble before. After the Brexit referendum, the environment is more hostile towards foreigners. “There are British people who come here as well, not just foreign Muslims. Mr Kacimi said he received a personal phone call from Labour leader Jeremy Corbyn, his local MP, in the wake of the incident. He said: “He phoned me and tried to reassure me. A spokesman for Masjid Ayesha said the police were investigating and declined to comment further.